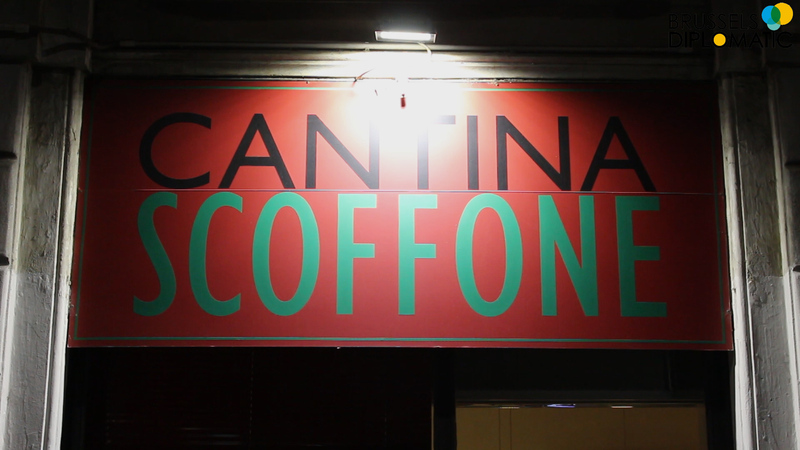 A few steps from the Navigli of Milan, the historic wine cellar of the ’20s, Scoffone welcomed us with quality wine, hospitality and cuisine. The Cantina Scoffone, reserve a portion of the space to the sale of wine in bulk, contained in carboys very choreographic and coming from small national choose carefully.In the same spirit of the time, this restaurant with wine bar offers quality at reasonably price. Chianti, Dolcetto, Nebbiolo, Barbera, the wine is tasted by the glass or bottle you buy in, tapped at the time from the carboys. The cuisine draws from the tradition of Tuscany and regional. Pasta, tagliatelle, ravioli and desserts are homemade. We tasted for you as first courses great tagliatelle prepared with an excellent Chianti Wine and ravioli stuffed with Zucchini and mint with Zucchini Flowers and Curry. To recommend as main courses octopus and potato salad or unmissable Elbana Steak with Potatoes Friedboiled . A great selection of meats and cheeses and a selection of traditional desserts, complete the menu. The cultural ferment of the local was born to play the fixture on Tuesday with “Jazz at the Winery”. One way to merge atmospheres, sensations and flavors in a familiar and cozy environment.